Typically, fillies retire from training at age three to four years, and must then adapt to life as a broodmare. On arrival at stud, they are introduced gradually to regular turn-out in a paddock and their feed intake is adjusted to meet their new needs. The emphasis now shifts to allowing the filly to relax and unwind. Their shoes are removed when the time is right and they are turned out in the fields. Once the filly/mare comes into season, she is introduced – under normal breeding-shed conditions – to a ‘teaser’, for a rehearsal of events to come. Veterinary tests are done to determine an approximate time of ovulation, so a time can be established for the mare to be covered by the chosen stallion. Two to three days after a cover, the mare is checked by a vet and – between 14 and 16 days – will be scanned for pregnancy. Once this has been achieved, the mare may be turned out to grass if the weather allows. 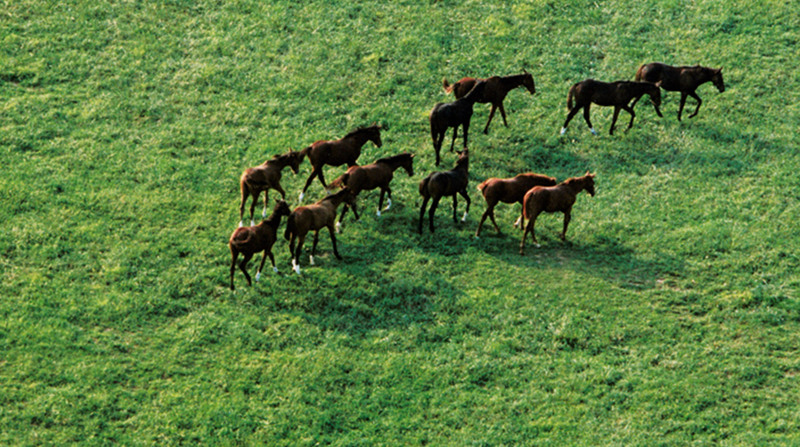 The gestation period for a horse is 11 months (333 days), although maiden mares tend to foal earlier.